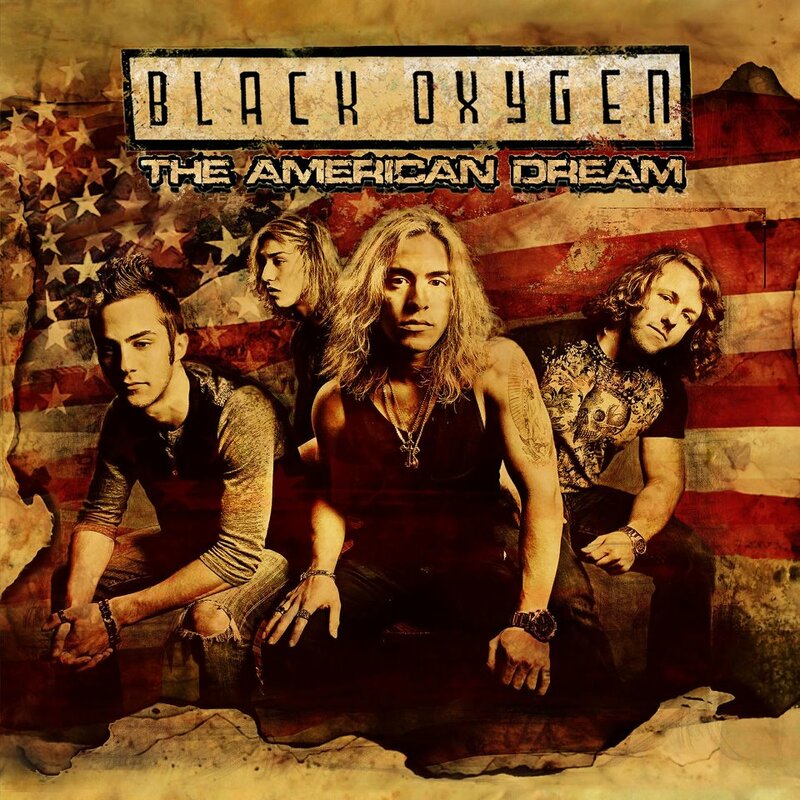 Black Oxygen has been around for some time now, playing showcases, recording tunes, writing them, just spreading the word of some good old fashioned rock n' roll! With this they went ahead and released two music videos and singles and a full-length release called "The American Dream" and they are indeed living out that dream. Frontman David Lyle discusses with me the band's formation, song writing process, plans between now the end of this year with everything in between. 1. How did Black Oxygen come together? David: Black Oxygen came together growing up when we went to school. We had met going to the same schools and began writing songs and the other guys were taught by me. I wrote the songs and we just started from there. We've been working hard ever since and this version has been around as of 2 years ago. 2. What does the band name Black Oxygen actually mean and how did you come up with it? David: The name had come up after looking over 200 other names and we just really liked it the best out of all the rest. So we picked it and it's been working great ever since and everyone likes it, people always asking where we came up with it so we thought it was the coolest. 3. What was the inspiration for the album name The American Dream? David: When I was writing the record at the time, there was a point where we wanted to live that dream and live the American dream, I told the guys let's go do this and we did. We've been on tour with Sevendust, Salvia, Halestorm, played 3 different rock festivals, one of our songs is number 15 on the charts. So we knew this was our dream come true. 4. What came to mind when you heard the song playing on the radio? David: It's something we were very thankful for. It's one of those things you just wish would happen and when it did it was just awesome. I was happy so many people liked it to have it keep going higher and higher on the charts. It felt a little strange at first but it was still cool. 5. Why did you pick "Take It to the Limit" and "Escape the Pain" as your singles and videos? David: "Take It to the Limit" was always a song we had believed had the most arch and had that kick to it. "Escape The Pain" had come about while we were doing some rock festivals and we shot some footage and put it together and picked that song because we liked it and we went with it. Now it's all over the web in different places. 6. Tell me about the song "Escape the Pain". David: The song is about life when you're really doing nothing is going right you want to escape from it all but the best way to escape it is to just free your mind from everything. A lot of these songs come from my past life and stuff. 7. Do you guys have any new music in the works? David: We won't release another album for a while but we're always working on new stuff so be prepared. 8. What music has been most inspiring to you recently? David: I really like Foo Fighters, Velvet Revolver, Led Zepplien, Guns n' Roses, just straight forward rock n' roll. David: There all about positive messages, following your dreams and never giving up. Living life to the fullest and not taking life so seriously just have fun with life and enjoy it while you can. David: I write the all of the music, get it all ready and work it with the guys then we make it all come to life. 11. What is your favorite song from "The American Dream"? David: "Take It to the Limit" and the whole CD takes your mind on a musical journey. 12. What would you say is most different about this album? David: I think what's different about this album is that it brings rock n' roll together from the old and the new. I feel the words all have a message and there's guitar solos, cool drum beats, vocals and just a straight forward rock record that's real. 13. What is your favorite song to perform live? David: I really like performing "Take It to the Limit" whenever we do shows there's tight energy and the crowd singing along it's cool. Another song I love to play is "Insane" that song has something strange about it because all of the girls always come to the front of the stage whenever we play it and sing along so it's one of those strange things about life and love. 14. How amazing do you think 2012 has been for you as a band so far? David: 2012 it's been a wonderful year we shot music videos, people believing in us since our album came out, been touring, we are very thankful in everyone who's believed in us. We're getting a strong fan base and it starts to become just one big show! 15. What more can we expect to see from you guys between now and the end of this year? David: You can expect to see us playing everywhere possible even in Canada and just getting out there maybe even an TV show as a guest. 16. Anything you want to say to your fans? David: The one thing I want to say is we always appreciate our fans and they mean everything to us and really believe in us and our music and that it helps them out. 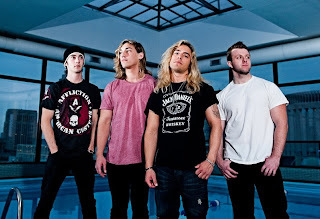 Cardiac Releases Video for "Breathe"
PAPA ROACH STILL SWINING VEVO DEBUT! Limbo X the Scene from Greece! ILL NINO RELEASES NEW MUSIC, AND TOUR DATES!!!!! Falling In Reverse FALL TOUR Announced! COAL CHAMBER To Play Los Angeles Show? 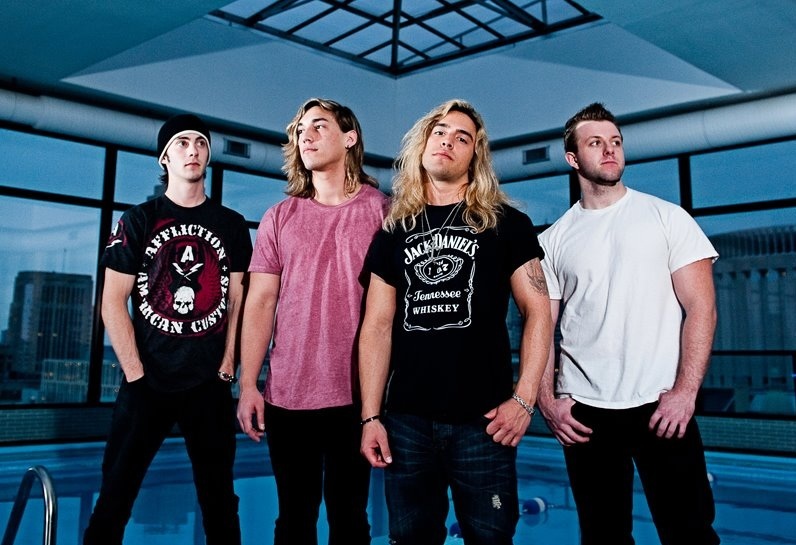 LIONS LIONS RELEASES LIVE VIDEO FOR "MILESTONES"
The Word Alive “Entirety” Video Premieres! Get Scared “Problematic” Premiere's on Alt Press! THE 69 EYES Graphic Novel Coming This October! Cryptopsy's New Track "The Golden Square Mile"! Attraction To Tragedy's "My Hell" Video Debut! DETHKLOK THIRD ALBUM AND DVD RELEASE COMING SOON! Motionless In White Announces Headlining Tour! Stitched Up Heart Premieres New Video, “Grave”! Blaqk Audio "Faith Healer" Premiere! At Fates Mercy Discusses their Fate! I Killed The Prom Queen Reunites YET AGAIN! Monster High: Skultimate Roller Maze Pre-Order! The 69 Eyes Premiere New Single “Red”! Suicide City Releases New Song! Winx Club Season 5 Release Date! The Birthday Masssacre Hits the Road this Fall! The Dead Rabbitts Mini Tour! AP Tour features Miss May I and more! WARBEAST Announces New Tour with DOWN!